Product studies are performed related to the investigations of radical and non-radical oxidation processes of organic compounds in the aqueous particle phase. For this purpose, a temperature-controlled aqueous phase photoreactor (see Figure 1 and Figure 2) with a volume of 300 mL is used. The photoreactor is irradiated by a solar simulator (LS0805-Q, LOT-Quantum Design) equipped with an air mass filter (AM1.5G). Depending on the experiment design, the photoreactor can alternatively be irradiated by an arc light source (LSH601, LOT Quantum Design) equipped with a xenon short arc lamp (450W, LSB541, LOT Quantum Design). The photoreactor contains an aqueous solution of radical precursor and the organic compound to be investigated. As the hydroxyl radical source, hydrogen peroxide is photolyzed in OH-driven oxidation experiments. The hydrogen peroxide concentration is adjusted to a concentration which yields to a steady state OH-radical concentration of around 1 × 10-13 mol L-1. Typical concentrations of the organic compound of these experiments are in the range of 1 × 10-3 mol L-1 to 1 × 10-6 mol L-1. Samples are taken manually at intervals of 5 up to 30 minutes. 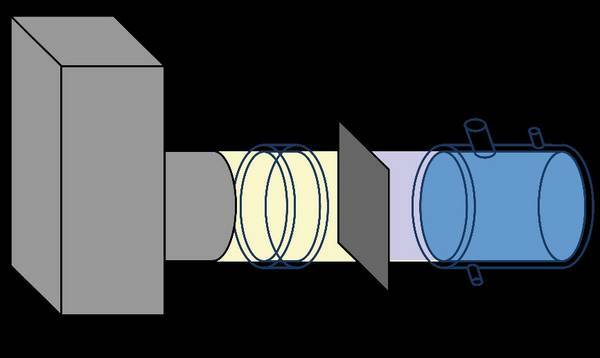 Schematic depiction of the experimental setup using the aqueous-phase photoreactor. A recent research topic is the degradation of isoprene oxidation products with hydroxyl and sulfate radicals in the aqueous phase. Isoprene is a volatile compound, which is emitted in high amounts into the troposphere by plants and is degraded by oxidants in the gas phase. The oxidation products are less volatile and can partition into the aqueous particle phase. Due to the reaction of these compounds with radicals, low volatile species are formed, e.g., organosulfates, which remain in the particle phase and contribute to the formation of secondary organic aerosol (SOA). 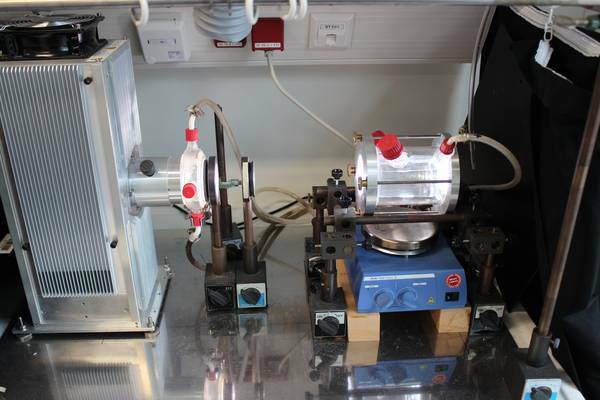 Figure 2: Picture of the experimental setup using the aqueous-phase photoreactor.